Springfield Armory brings new colors options to its lineup of popular pistols, adding color variants for the 911 in .380, EMP 4 with Concealed Carry Contour, XD-S Mod.2 in 9mm and XD-M.
Springfield says the 911 will see Desert FDE, Desert FDE/Nitride, Platinum/Graphite, Titanium, Titanium/Nitride and Vintage Blue/Stainless options. The EMP 4 will soon be available in Desert FDE, OD Green/Desert FDE and Tactical Gray/Black. The XD-S Mod.2 in 9mm will come with the option of Desert FDE, Tactical Gray/Black and Stainless. Rounding out the series, the XD-M OSP 9mm, XD-M 3.8-inch 9mm and XD-M 4.5-inch 9mm will now be featured in Desert FDE. The 911 starts at $629 while the EMP offers starting prices at $1,220. The XD-S begins at $565 while the XD-M starts at $623. 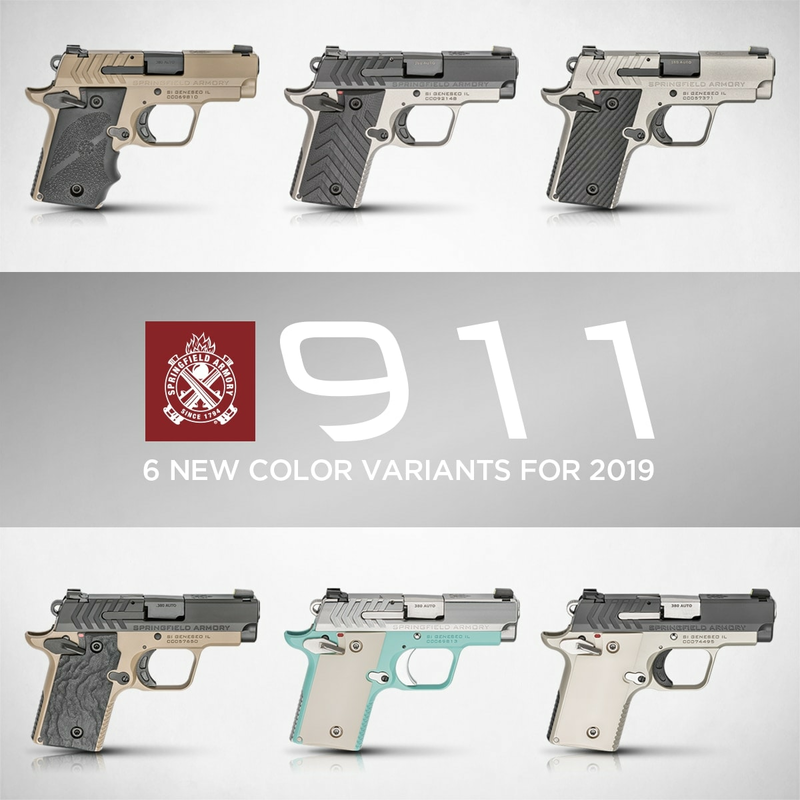 The post New colors come to Springfield Armory lineup appeared first on Guns.com.